I’ve had this album for a couple of weeks now, and while I like it, in fact more with each listen, I still couldn’t quite put a finger on what genre of music I’d call it. There are definite Elvis Costello similarities, but I also feel Bruce Springsteen and Johnny Cash in certain songs. I decided to read the PR notes, and they say a seamless blend of modern East Coast folk, rock and roll with shades of classic Americana, roots and country haunting the edges – well no wonder I had problems narrowing it down. The opening track, Things I Want, is the one that most sounds like Elvis Costello, and with it’s strings intro is a song that whenever I play the CD, feels like welcoming an old friend back. It’s a love song, but penned and sung in such a chilled way that you just want too sit in a field in summer and have this playing next to you. That’s actually a common theme of this album, as it gives me the impression that Dennis is a pretty cool and unflappable guy. His music has the ability to make you forget about the mundane and enter his world of, well you read the description above, so let’s call it Ellsworth to make it easier. It’s not just Dennis singing though, as songs like If I Find The Truth sees harmony vocals from, I think, Kinley Dowling. With the gentle vocals and viola, this is quite the haunting number that can be quite chilling and almost dark at times. It’s an album that seems to cover all emotions but with a laid back optimism that can’t keep a smile from your face and reflection on where you are and what you’re doing. Happiness feels the most country is a charming little song that almost feels like it stops to soon at just under 2 minutes, until you realise that’s it just perfect as it is, and any longer would spoil it. Though not so much in sound, the last song, Can’t Turn To You covers the classic subject of unrequited love and is the perfect optimistically melancholy way to end the album, if you’ll excuse the juxtaposition. 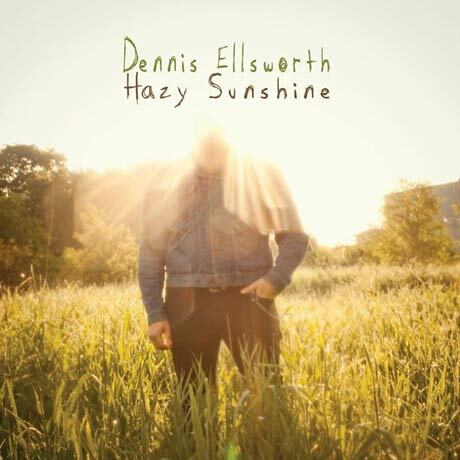 Hazy Sunshine is a showcase of Denise as a singer, songwriter and musician and is so far in 2014 the best album I have found that I’d want to listen to on a Friday or Saturday evening, maybe with a glass of wine or a bottle of beer. It’s good on first listen, but it’s a grower too – so the more you listen the more you are going to get out of Hazy Sunshine and the more you’ll appreciate it. The only negative is that he’s just been over here in the UK on tour, and I missed him. Here’s hoping he comes back again soon. Enter your email address to follow 4000 Miles to Nashville and receive notifications of new posts by email.